How it Happened: Friday they spent hours moving through the many channels on Lake Wawasee looking for bedding fish. Channels with dark water, making fish more difficult to locate, had the best sized fish. They made 30 waypoints. During the tournament, conditions were not ideal and many of their best fish were directly in the wind. However, this turned into an advantage, “If you could see the fish, they would not bite. The wind made us less visible and the fish less wary,” Noe explained. From long distances they slung their baits to the beds and had a limit by 9:00. Throughout the day they covered four different channels and caught 12 legal sized fish. 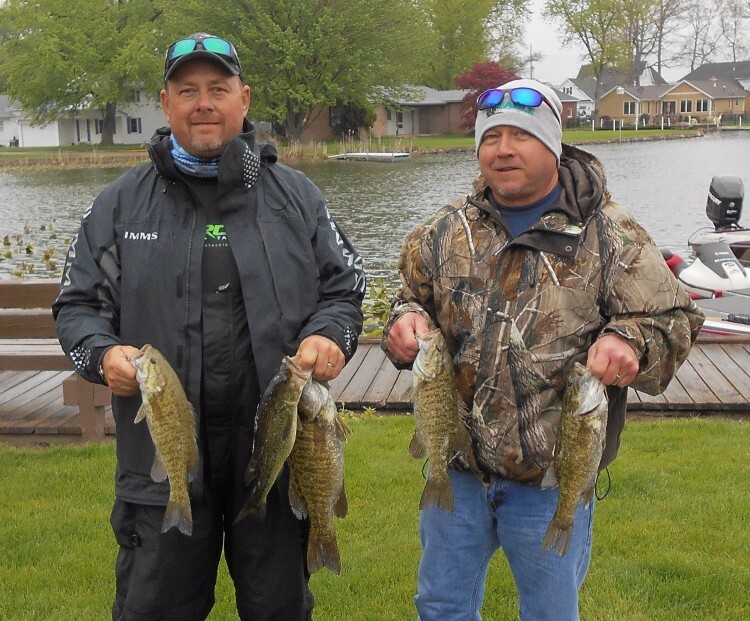 How it Happened: Cook and Sawyer rotated through three spots on Lake Wawasee. All three spots were weed edges on flats between 6-8 feet of water. It was a slow bite as they boated just 7 keepers with three of those coming in the last hour. 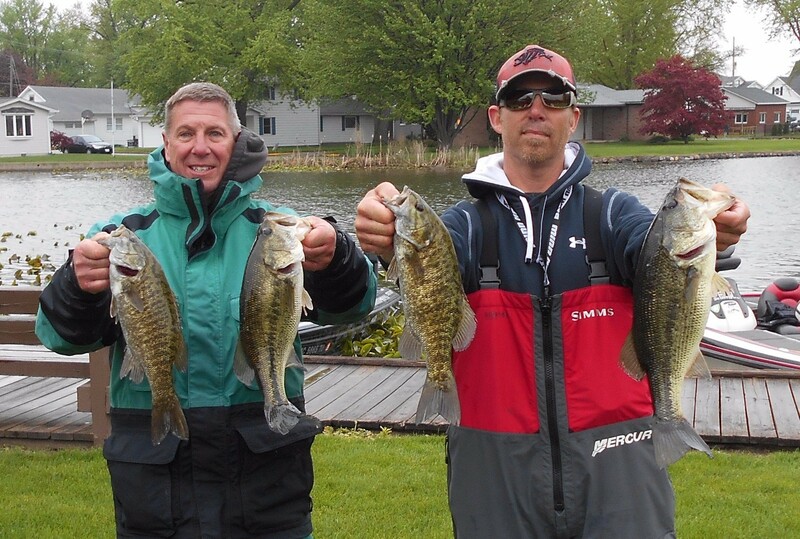 How it Happened: Without practice to develop a gameplan, they began by fishing traditional smallmouth spawning grounds. They rotated through three areas and dragged tube baits. When they camp across a bed, they set up camp and slung tubes at them. At midway point and seven keepers that were all identical in size, they left the lake and explored channels looking for a bigger largemouth. They quickly found their biggest fish, 3.27 pounds, and worked it for 10 minutes before it fell to a drop shot rig. They made another critical cull by flipping a jig under a dock in the same channel. 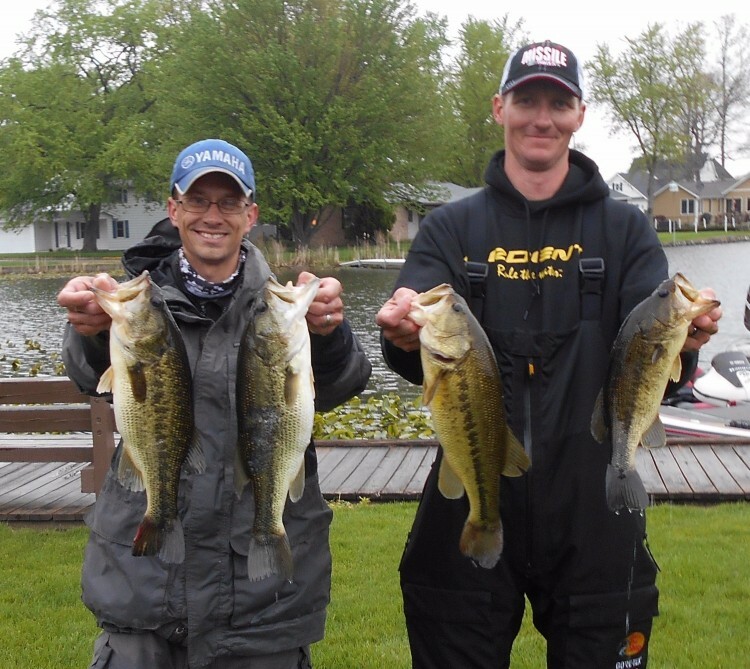 The last time R & B Bass Circuit members saw this team together, they were collecting their second consecutive Season Champions’ plaques and prize money in 2012. Now, they are now back for more and are picking up right where they left off. 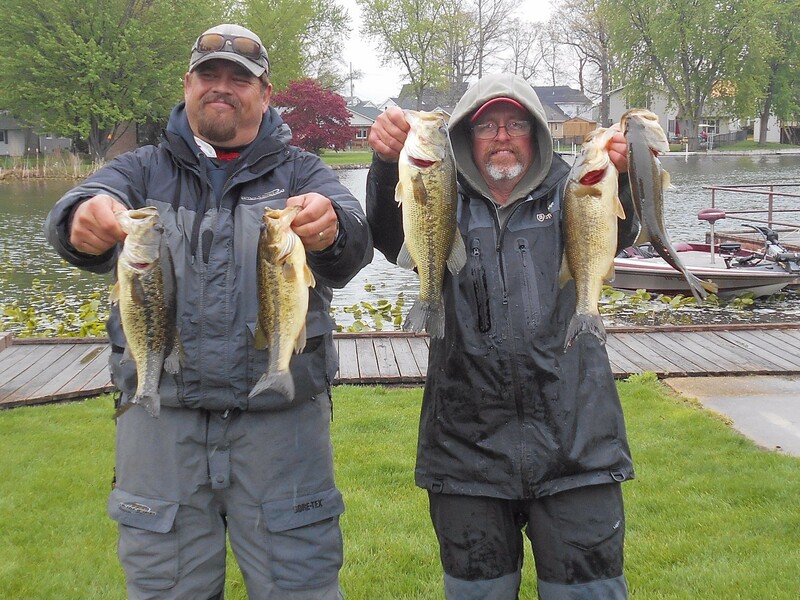 How it Happened: The former champions began searching in a channel for spawning largemouth bass, but after 90 minutes and only two small bass in their livewell, they determined the main lake offered more opportunity. Their intuition was right. Two main areas between 5-7 feet deep on main lake produced over 50 fish and 10 keepers. The team thought these areas were transition spots for bass before moving up to spawn. The 2016 East Division champion, Griva, partnered up with substitute Heath Wagner and added to their Records compilation. How it Happened: Even without any practice the team went into channels undaunted and had a limit in just an hour. 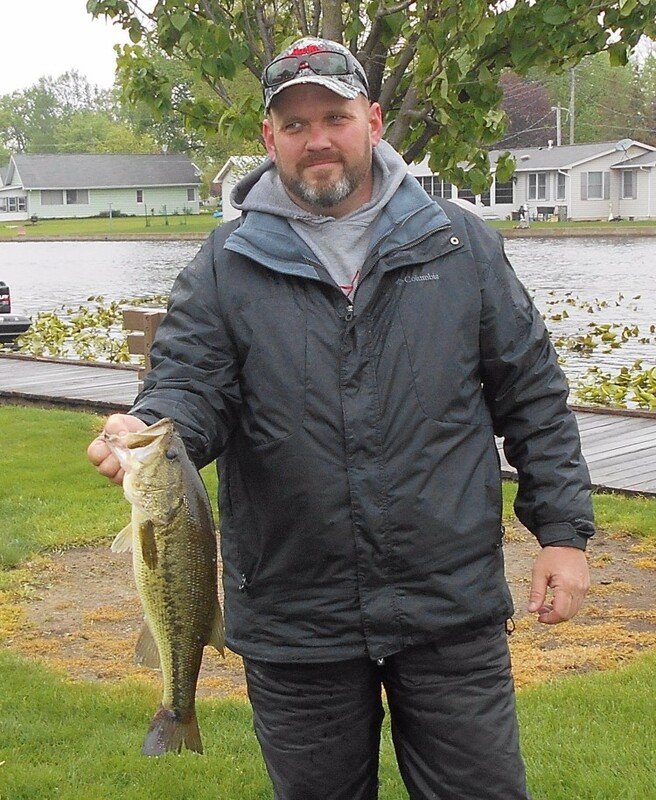 By exploring several channels, they went on to load the boat with over 20 keeper largemouth. 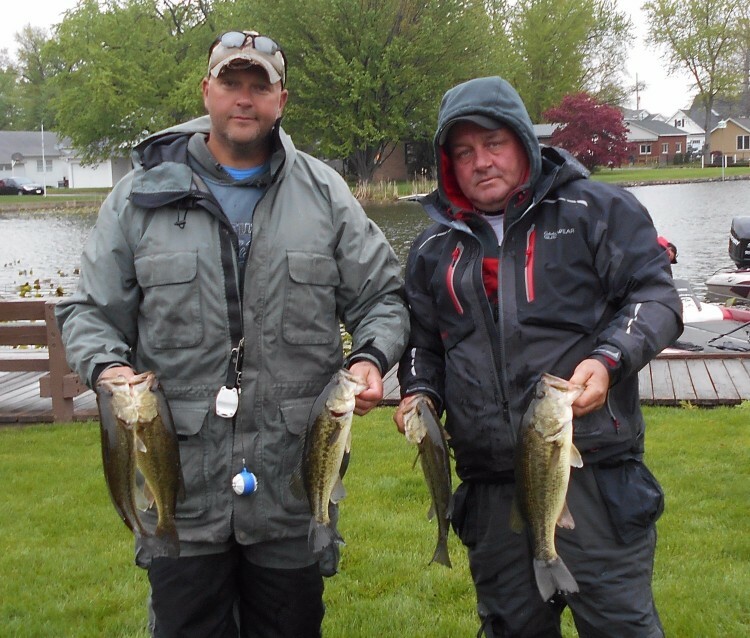 6th Place: An 8.85 pound limit won Mark Farver and Steve Kline (left) $133. 7th Place: Only .01 of a pound separated these two teams. 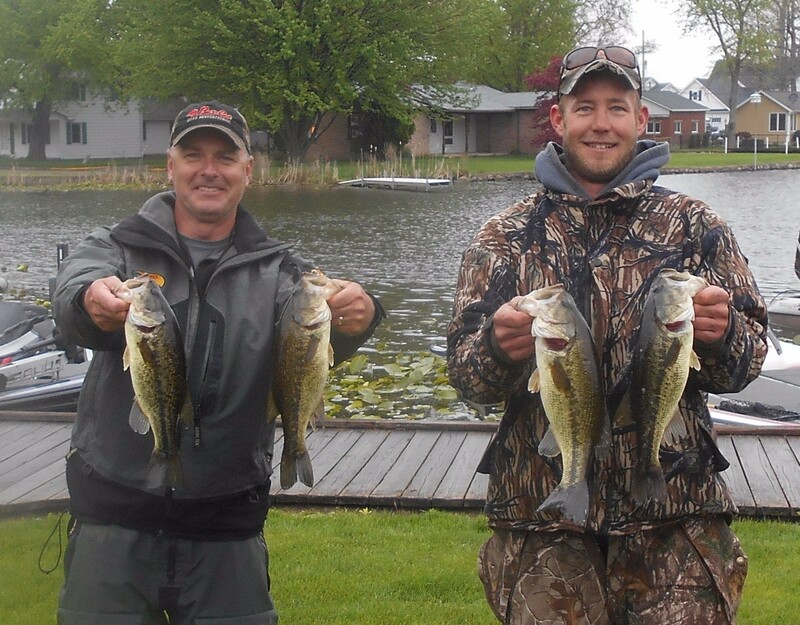 Gary Price and Brian Mitchell (right) snatched an 8.84 pound limit to collect $111. 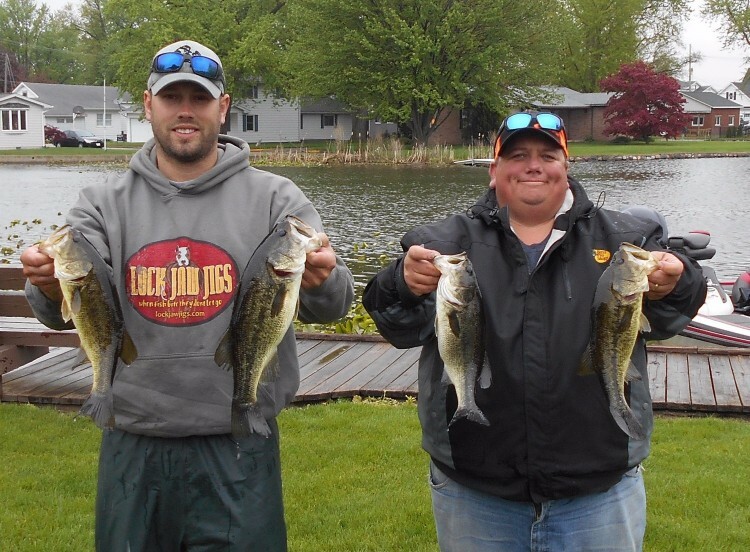 8th Place: John Marquardt and Jon Hall (left) brought 8.82 pounds of fish to the scales to collect $90.